I can’t speak for the other vertical products out there, but both Land Desktop and Civil 3D have a handy assortment of Zoom Macros. 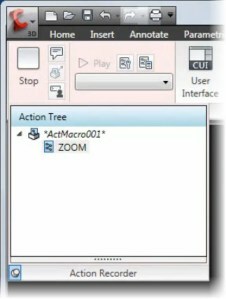 These Zoom macros include things like ZE for Zoom Extents, ZP for Zoom Previous, and so on. Although both LDT and Civil 3D are built atop the beloved AutoCAD platform, these Zoom Macros cannot be found inside regular AutoCAD. That is until you learn how easy you can build them yourself using the Action Recorder in AutoCAD 2009 and AutoCAD 2010.